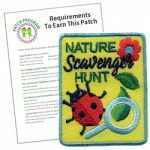 This colorful Nature Scavenger Hunt patch is a great reminder of the fun your Girls had during your hike, camping trip or wherever you held your scavenger hunt. 2′ Embroidered Iron-on Patch. Take a night hike, play flashlight tag, tell ghost stories or any other night time fun deserves a memorable patch. 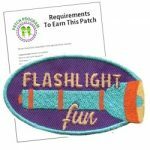 Add our flashlight patch from MakingFriends®.com to your vest. Your troop will have so much fun using their imagination to build fairy houses! Try this fun, no prep activity on your next camping trip. 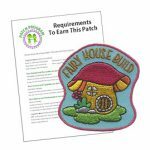 However your girls decide to build their fairy houses, this colorful Fairy House patch from MakingFriends®.com is sure to please your girls! Your girls will love to get messy at your Girl Scout Color Wars event. A fun idea for your next camping trip, picnic or barbecue. 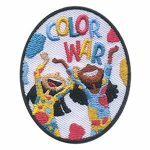 After the fun, our Color Wars patch will be a big hit with your girls.